SKU: TM000041. 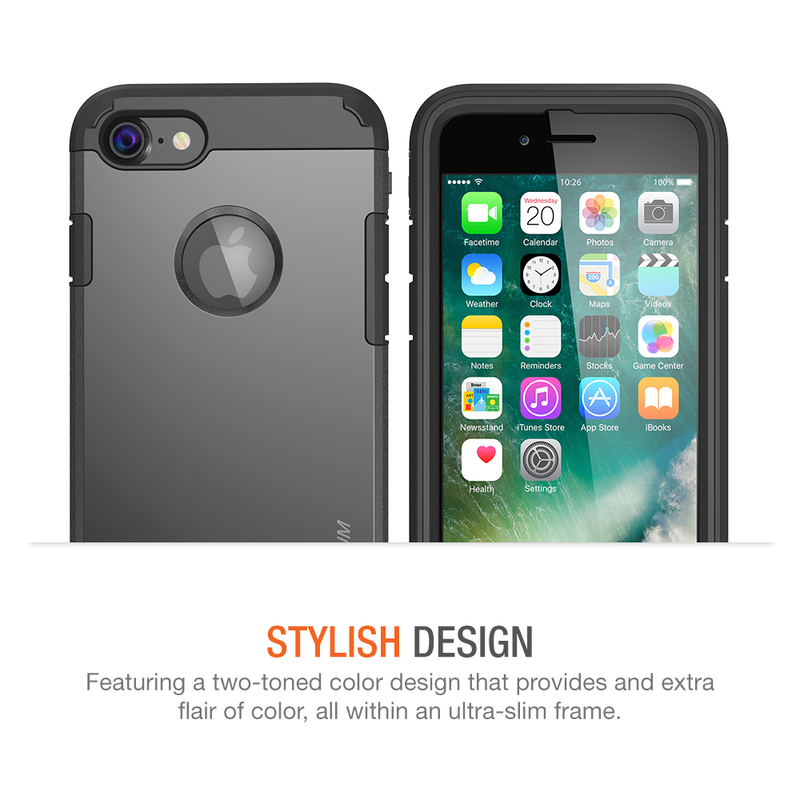 Categories: iPhone 7, Slim Case. 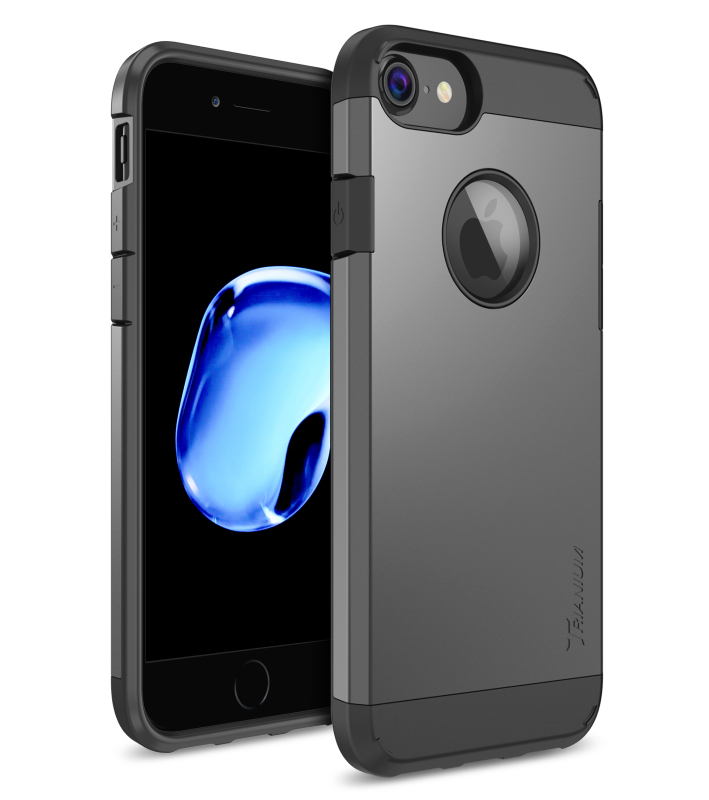 Tags: Duranium Series, iphone 7 / 7 Plus Duranium Series, Slim Cases. 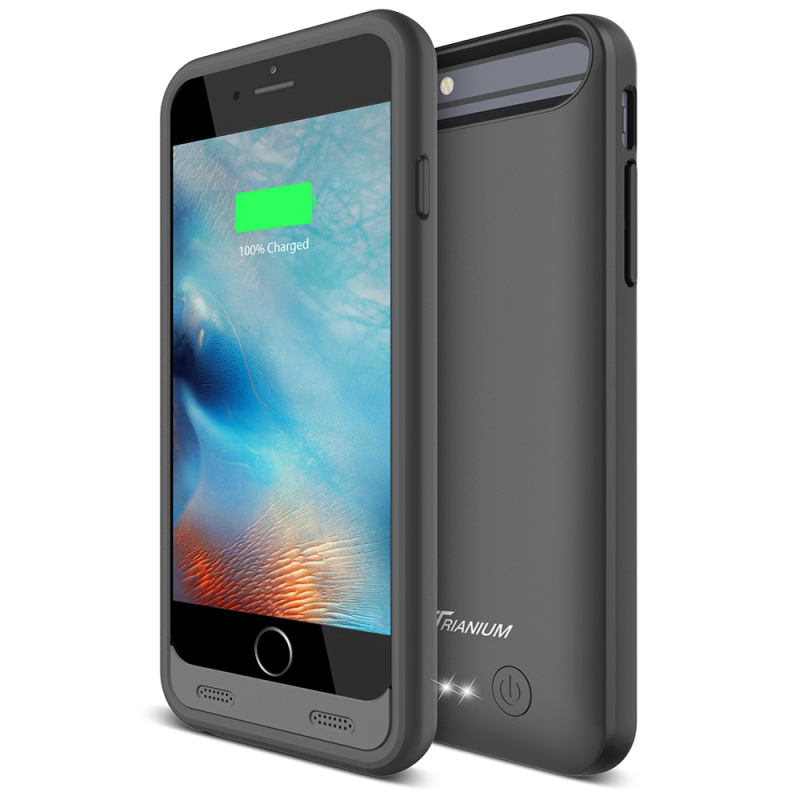 Special Note: The Duranium is designed to fit Apple iPhone 7 2016. 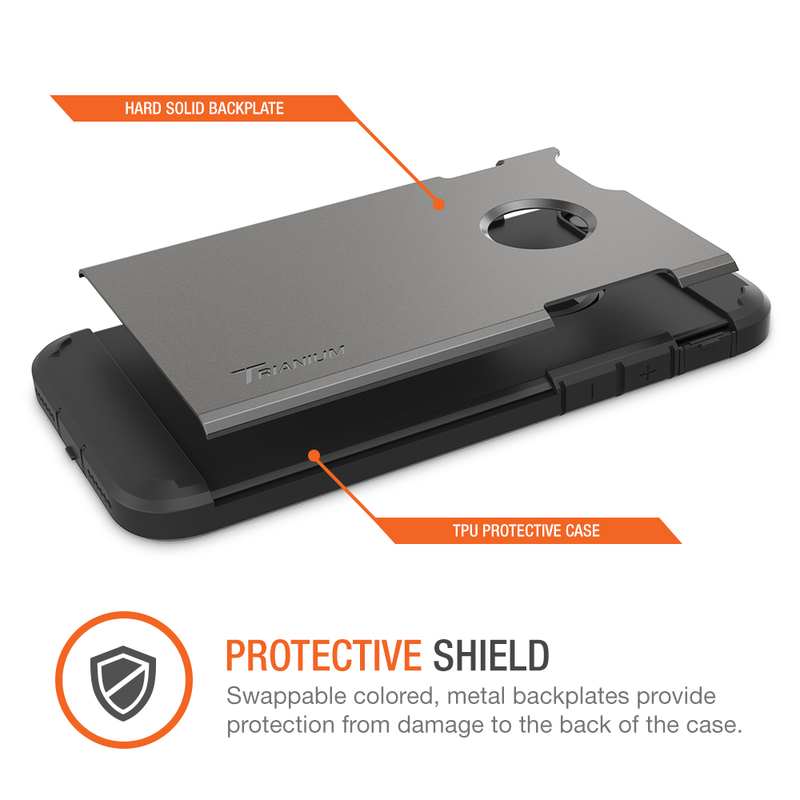 We recommend removing previously installed screen protectors before installation or it may impact the case usage. 2. 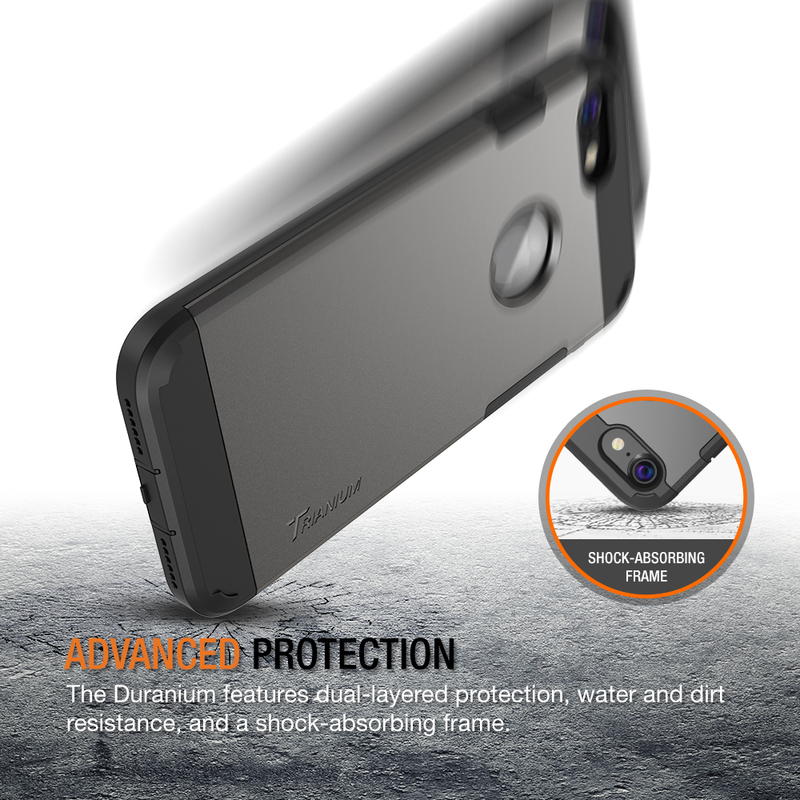 The Duranium is not built for water submersion. 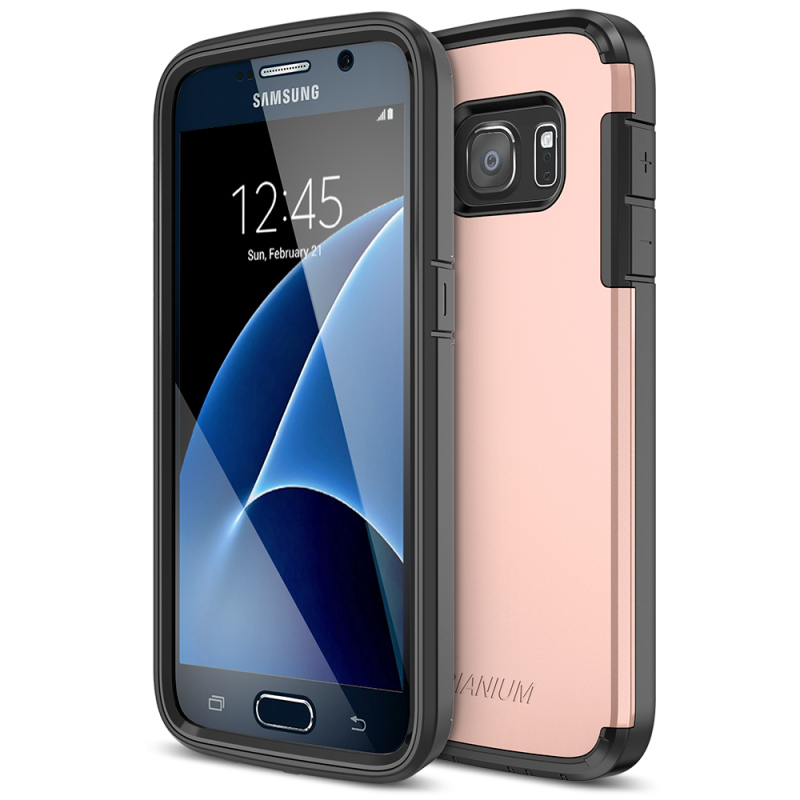 If submersion occurs remove phone from casing, turn OFF and then pat dry with a towel. 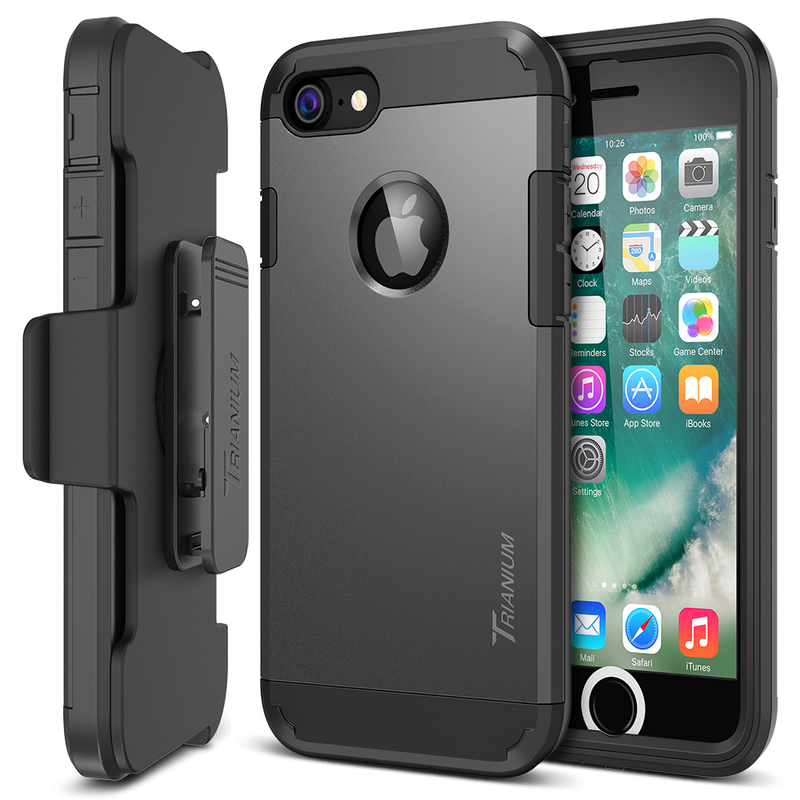 The Duranium, iPhone 7 Case from Trianium, features innovative technology that maximizes the protection your iPhone 7 receives from the case while reducing unnecessary bulk. 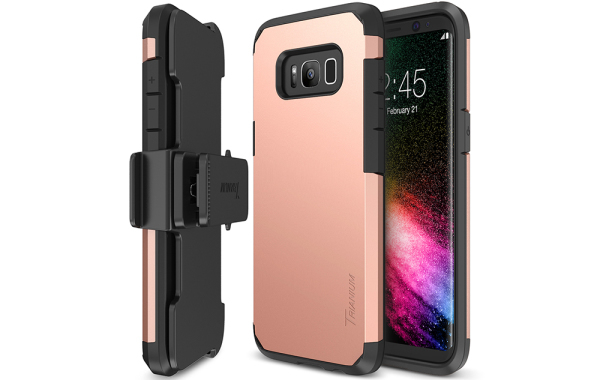 Featuring a water resistant, protective casing design that provides reliable protection and splashes-proof, coupled with a soft rubberized shock-absorbing internal design that provides protection from drops and bumps. 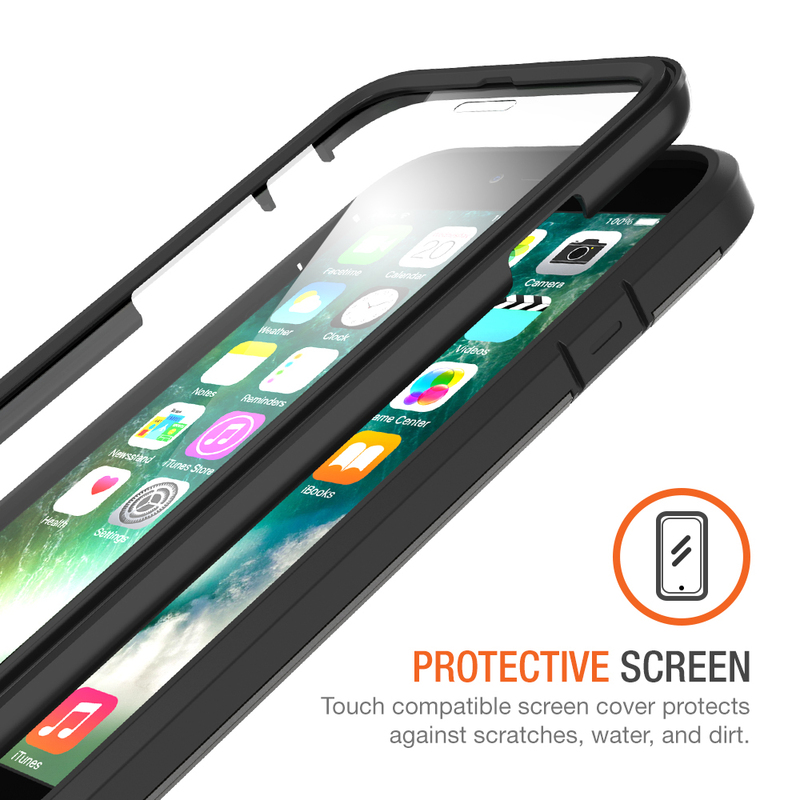 Our specialized ultra-clear screen protector provides the maximum display resolution with no interference to touch screen responsiveness, this makes the Duranium iPhone 7 covers case the perfect accessories for bumps, scratches, marks or other outdoor recreation activites. 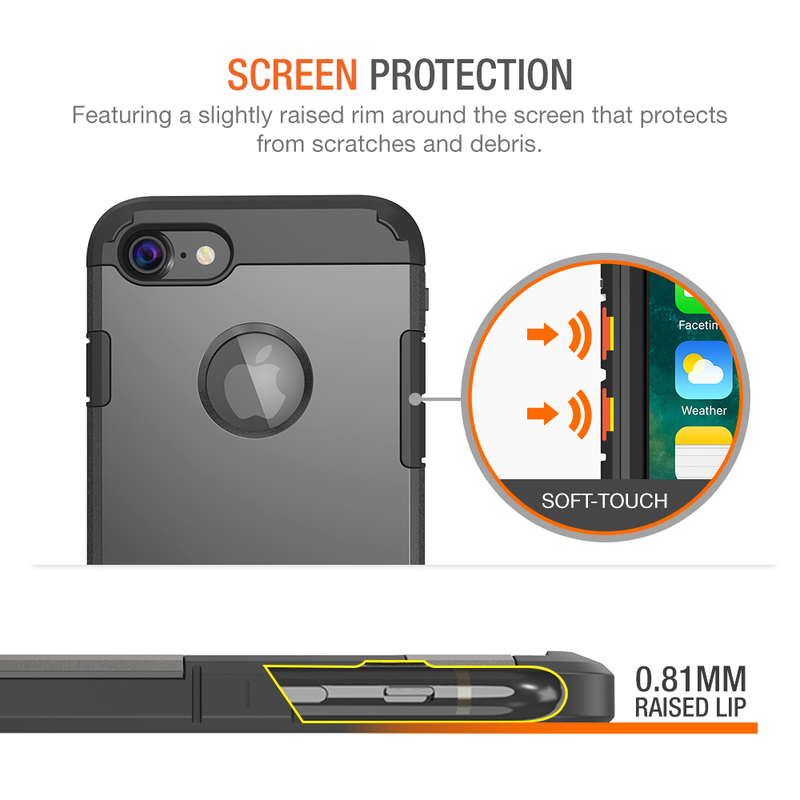 Precise cutout and design allow full access to all port and button of your iPhone 7. 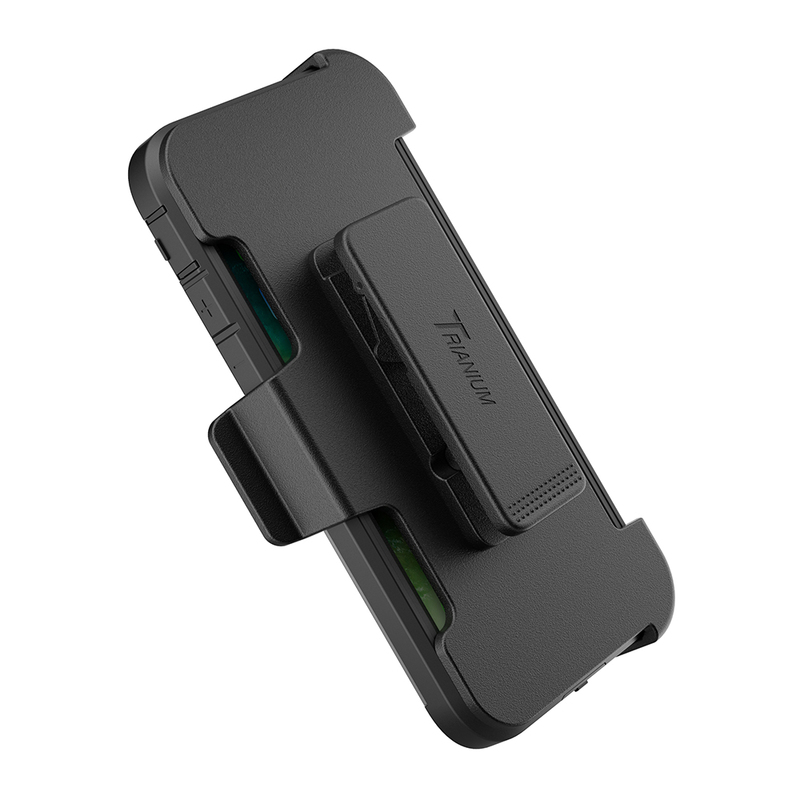 Add-on Holster belt clip gives you a peace mind of keeping your iPhone safe with the sturdy locking mechanism.